1. It's been several years since last album. What has Ares Kingdom been up to since then? In 2012 we released a compilation of covers from Slaughter Lord, Sacrilege, RU Dead?, Mefisto, Vulpecula, Nepenthe and Dokken, otherwise we've been playing live regularly, and finishing up The Unburiable Dead. 2. Nuclear war now! seems to be a long term home. whats made the partnership so successful with Ares Kingdom. NWN gives us a huge palate to work with and no artistic restrictions. They're one of the most successful labels in the underground today and we're very happy with them. 3. The Unburiable Dead seems to be a heavy mix of extreme Thrash and 90's Melodic Death metal. There seems to be a strong retro element as well. What was the direction you saw the album coming to be? Was it this or something else and it just organically came out this way? The Unburiable Dead focused on all the elements that were in our music to begin with and reflected our inspirations and influences, so yeah it was a very organic process. 4. Whats the running theme of The Unburiable Dead? 5. Does Social media and digital age help bands in the extreme music genre or is the real growth touring towns and getting word of mouth out that way? 6. Do the members of Ares Kingdom have other projects they are currently part of or is this the main focus of all? Alex plays periodically in Blasphemic Cruelty, but the rest of us are 100% AK. 7. In the Studio does the music or lyrics come 1st and how does that change the dynamic in the studio if one or the other comes 1st? I write and the band rehearses outside the studio. I tend to leave some leads and ornamental parts undone for studio inspiration, but most of the album is ready to be recorded before we set up the mics and hit record. 8. I've often read that your local scene is very unsupportive has it gotten any better or is Kansas City still a very unfriendly area for extreme metal music? Not really. We have a core of perhaps 8 bangers that love AK - and can come see us rehearse practically any time they want, but the local scene remains underwhelming by and large. 9. If you could make a professional video off any track on new album which one and why? Demoralize. The theme and lyrics are very stark and violent, which would translate to the small screen well. 10. The artwork is very impressive how does it play into the themes of new album? It is by an artist that served in the first world war, lived through the other and he was pouring out his frustration and sadness at the idiotic world that brought us those two conflicts. It summed up the album neatly. 11. 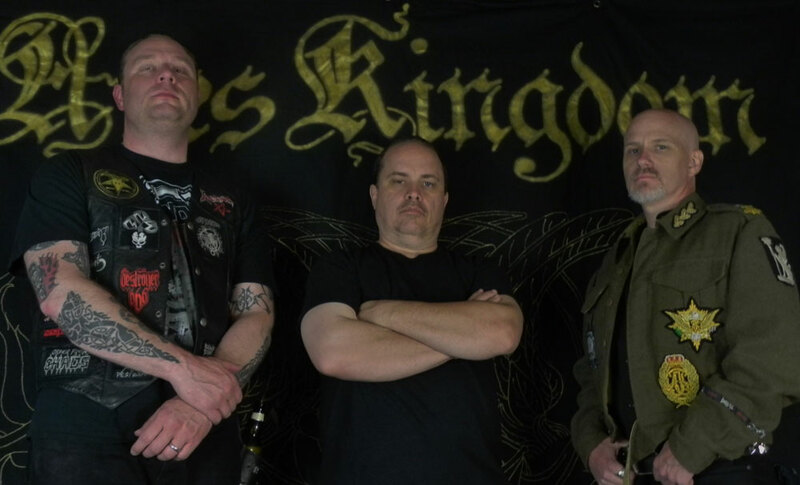 If Ares Kingdom was offered a major label deal would you accept it or is that the kiss of death for underground bands like yours. Explain answer if you can. I've been asked this question for over 25 years now, I really don't know. 12. If the band ended today what would you want the world to remember Ares Kingdom for or by? AK was a band that recorded the highest caliber metal it could, did nearly everything themselves, and had the best, most loyal fanbase imaginable. 13. Thank for the time any closing thoughts here. Thanks for the support! Check out www.areskingdom.com and our Facebook page for merchandise and updates. Reviews of the Obscure.. 5 New Reviews !!! !